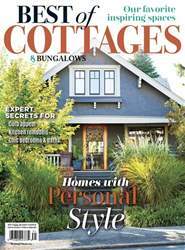 A California cottage finds its easy style with a mix of traditional touches, modern color and laid-back charm. A Cheerful Palette. Light walls and wood provide a cheerful and serene atmosphere in the dining room. NOT TOO FAR FROM THE GLITZY glamour of Hollywood is a quieter type of elegance: a charming English style cottage that is illuminated not by spotlights but by Southern California sunshine. Although traditional in appearance on the outside, this 3,400-square foot Beverly Hills abode exudes a sense of sophisticated, simple modernity on the inside. Before a major remodel by interior designer Alison Kandler, the residence was much more homely than homey. By listening to her client’s requests and needs and by interpreting the innate style of the structure itself, Alison was able to transform the dull building into a chic, livable space.